The Collegiate 100 is an auxiliary organization to 100 Black Men. The Collegiate 100 membership is drawn primarily from male African–American college students through chapters on university campuses across America. The purpose of the Collegiate 100 is to implement the mentoring and tutoring programs of 100 Black Men. Collegiate 100 participants assist the parent organization with the social, emotional educational and physical development of young black males who have few or no positive role models in the communities in which they live. 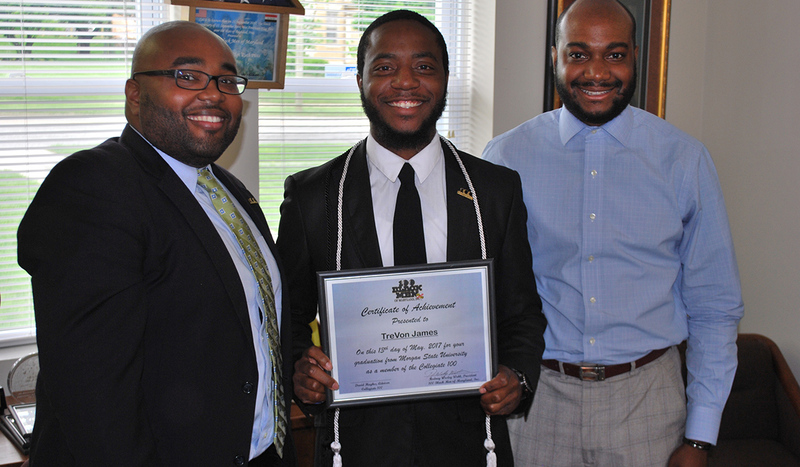 Through the Collegiate 100, students are mentored and serve as mentors during their post-secondary education years. 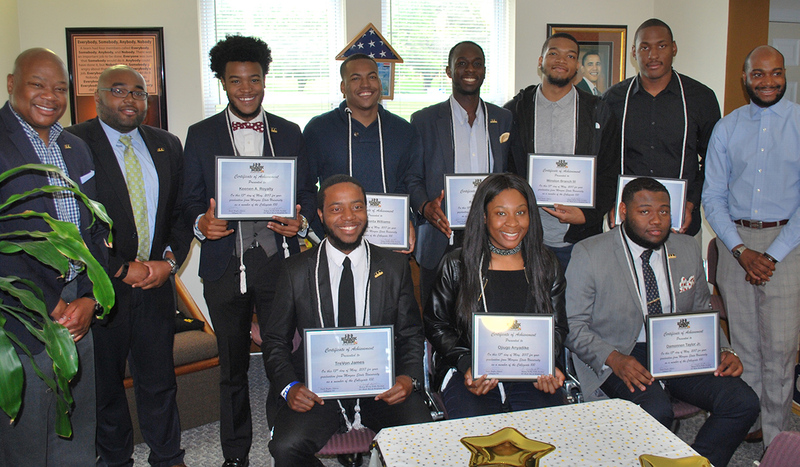 Through their individual businesses and their employers, 100 Black Men of Maryland provide internship opportunities to collegiate students. Upon entering the workforce, mentees continue to receive mentoring from 100 mentors. As young adults, former mentees give back by becoming volunteers and tutors with our chapter and some young men join the 100 as members. 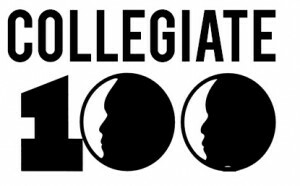 Each Collegiate 100 chapter has an advisor from the faculty or staff of the college or university where the chapter is located. Each advisor must remain active in the local Chapter of 100 Black Men to ensure that the program operates efficiently and effectively. 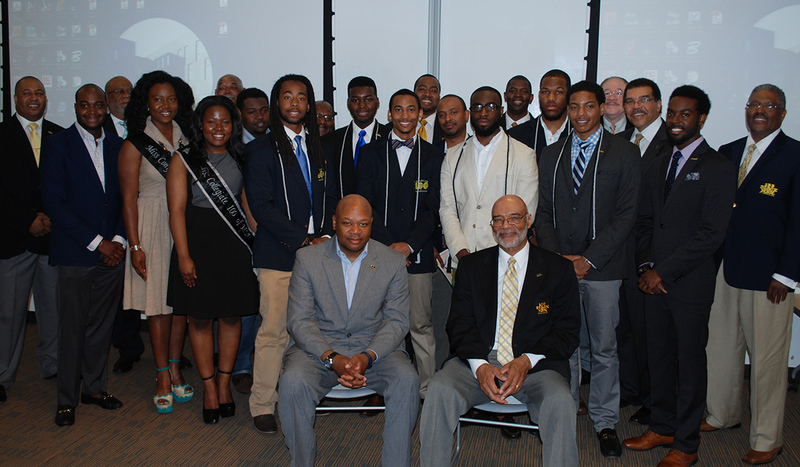 A minimum of 10 students are needed to form a Collegiate 100 Chapter. Each Collegiate 100 Chapter will hold a Spring induction ceremony for new members. A second induction is optional, with a minimum of two (2) new members. A first semester freshman is not eligible for induction. All officers of the chapter must attend induction ceremonies. At least one (1) member from 100 Black Men of America, Inc. must attend the induction ceremony to serve as a speaker. Collegiate 100 members should remove any image of secrecy of induction ceremonies and invite all constituents of the campus community to attend this event, thus creating an environment to broaden support and recruit quality members.